Wise Program Uninstaller Portable helps you uninstall your unwanted programs or forcibly uninstall the program you can't uninstall by Windows or other programs. Moreover, it also can remove the residual entries which may drive you mad. 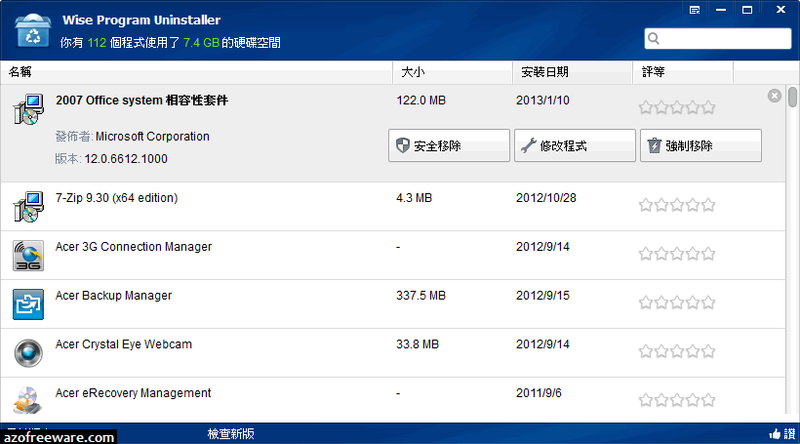 The much-anticipated Wise Program Uninstaller has many attractive advantages such as easy to use, simple but elegant GUI, etc.